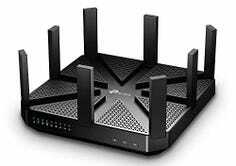 You don’t need a router this powerful. Basically nobody does. But at under $200, you’ll want to buy it anyway. The specs on this TP-LINK AC5400 are pretty eye-popping. It’s a tri-band router with a 1000Mbps 2.4Ghz band and two 5GHz bands that can carry 2167Mbps each, it includes eight antennas and beamforming to hone in on your active devices, and its two USB ports allow you to plug in an external hard drive and a printer simultaneously. And if this all sounds like snake oil, consider its 4 star review average from over 11,000 (!!) customers. 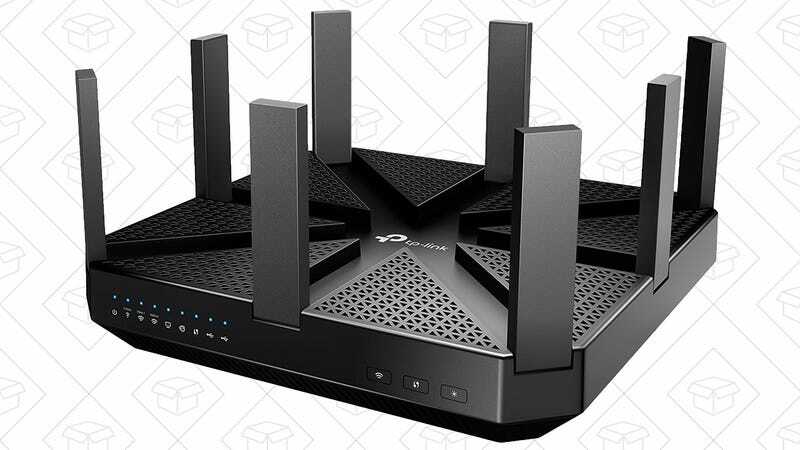 $189's an all-time low price, and this router is future-proof enough that you won’t want to replace it for years to come.